This is a terrific iris to grow and being New Zealand bred iris makes it just the bit more special. The multi award winning iris 'Fancy Woman' (Keppel '95) gives Lace and Violets a luminata lineage and perhaps helped with its fragrance. Laced and ruffled, the colour patterning is a marbled lavender to violet airbrushed look over blue, white in the heart of the flower, most likely a variation of a luminata-plicata. 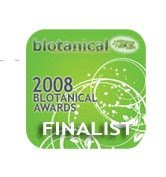 Outstanding plant habits, includes good increase, clean light green foliage. Last season this iris was listed in the 'Richmond Iris Catalogue' for $10.00 which is a great deal for such a stunning and good growing iris. Seriously you need to put this iris on this coming seasons 'Buy-It List'. Richmond Iris Garden, 376 Hill Street, Nelson. Issue 57, 2007-2008 Catalogue. 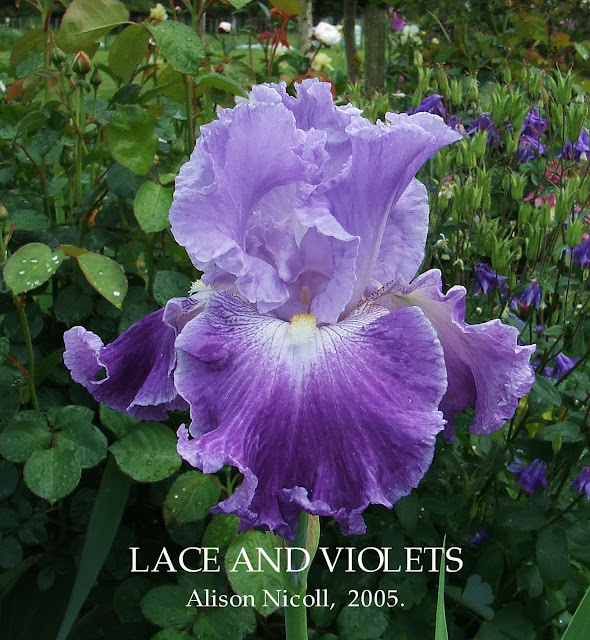 LACE AND VIOLETS TB [A Nicoll 2005] This lovely laced and ruffled blue/violet iris will delight you. The standards have a lavender wash over frosty pale blue and the falls a violet wash over blue. A pronounced sweet fragrance is a bonus. New Zealand Iris Hybridisers Cumulative Checklist 2013. LACE AND VIOLETS Alison Nicoll, Reg., 2005. Sdlg A01T9:1. TB, 31″, (80 cm), M ; S. lavender wash over frosty pale blue; style arms lavender; F. violet wash over blue with white glow around beard, hafts veined violet; beards white, yellow in throat, cream in middle; laced and ruffled; pronounced sweet fragrance. Fancy Woman x A99T10:6: (About Town x Honky Tonk Blues). Richmond Iris Gardens 2007/08. Available in New Zealand from Richmond Iris Garden.